I am happy to announce that we are going go hold an international symposium "Tokyo - Moscow 2001: A Roundtable of Russian and Japanese Writers" in Sanjo Conference Hall on the campus of the University of Tokyo (7-3-1 Hongo, Bunkyo-ku, Tokyo 113-0033 Japan) with the participation of 6 Russian writers: Akunin, Gandlevsky, Kuritsyn, Pelevin, Sorokin, Tolstaya. The official languages will be Russian and Japanese. All the events to be held within the framework of our symposium are open to the general public. Everybody who is interested is welcome. For inquiry, please contact by e-mail at sakkakaigi@hotmail.com (secretariat), mitsu@l.u-tokyo.ac.jp (Mitsuyoshi Numano) or by fax at +81-3-5841-8967. 10:00-11:20 Seminar with Vladimir Sorokin. The conference, sponsored by the Bakhmeteff Archive of Russian and East European Literature and Culture of Columbia University and supported by the Slavic Division of the New York Public Library, will bring together literary scholars, historians, librarians, archivists and members of the general public to discuss the written and printed legacy of the Slavic heritage in the United States. The conference, which coincides with the 50th anniversary of the founding of the Bakhmeteff Archive, is intended to open a broad discussion on the problem of integrating the history and holdings of Slavic collections into the overall history of the American society as well as into the history of the Russian-American cultural heritage. There is no fee for attendance, and no formal registration is required. The Friday session will have limited space available. If you wish to come to the Friday session, please call the Slavic and Division at: (212) 930-0714. *There is no conference registration fee; the conference is open to the public. On Thursday, November 15th, from 9AM-12PM in the Tidewater Room of the Hyatt Hotel, the Slavic Librarians from the Bibliography and Documentation Committee will hold a preconference designed to acquaint Slavic scholars with a variety of research resources available on-line. The program and demonstrations will include the basic techniques of preparing your computer to handle special non-Roman character sets, using your browser's features to organize your research, how and where to find information on diverse topics including language and literature, politics and government, etc. and how to make contact with scholars through various avenues of electronic communication. There will be opportunities for questions and answers during the session. We have available seating for up to 70 attendees, but we request that those planning to attend the presentation contact Allan Urbanic (phone/voicemail: 510 758-9236 or email: aurbanic@library.berkeley.edu) in order to assure we will be able to accommodate all who wish to participate. What further steps are needed to implement economic and administrative reforms? How healthy is democracy in Ukraine? How has Ukraine's relationship with the EU and NATO developed? What are the implications for regional security? How are Ukraine's relations evolving with its neighbours, including Russia? Has the business climate improved? The conference will consist of public readings, lectures, and panel discussions on a broad range of topics related to literary translation. Participants include some of the most illustrious translators from around the world, among them Pulitzer Prize-winning poet W.S. Merwin; Edmund Keeley, the translator of the works of two Nobel laureates, George Seferis and Odysseas Elytis, as well as those of the greatest Greek poet of the last two centuries, Constantine Cavafy; Eliot Weinberger, translator of Nobel laureate Octavio Paz's Collected Poems; poet Heather McHugh and literary scholar Nikolai Popov, who have translated the most important poet of the Holocaust, Paul Celan; Chinese poet Bei Dao; and poet Daniel Weissbort, former director of the University of Iowa Translation Program, who has translated a number of modern Russian poets including Nikolai Zabolotskai and Evgenii Vinokurov. Other participants include John Nathan, who holds the Takashima Chair of Japanese Cultural Studies at UC Santa Barbara and who has translated several novels by Nobel laureate Kezaburo Oe, and writer William Gass, whose most recent book is Reading Rilke: Reflections on the Problems of Translation. They will be joined by Clare Cavanagh, co-translator of Nobel laureate Wislawa Szymborska's Poems New and Collected and of Adam Zagajewski's poetry and prose; Linda Asher, who along with her husband Aaron Asher has translated the Czech novelist Milan Kundera's work; Gran Malmqvist, a member of the Swedish Academy and translator of Chinese literature; and Zvonimir Radeljkovic, professor at the University of Sarajevo and founding member of PEN in Bosnia, who has translated extensively from contemporary American and English literature. The conference is free and open to the public. Visit our website at: http://www.uiowa.edu/~iwp/AOTintro. For further information or to register, contact Susan Benner at susan-benner@uiowa.edu, (515) 233-1664. Or write to the International Writing Program, 469 EPB, University of Iowa, Iowa City, IA 52242-1408. The University of Paris IV (Sorbonne) and the French Association of Russian Studies (AFR) are pleased to announce a conference on the writer ALEXANDRA MARININA to take place on 19-20 October 2001 in Paris. Alexandra Marinina will also attend the conference. The language of the conference will be Russian. 150-word abstracts for 30-minute papers are invited in any area of investigation: literary, linguistic, sociological or gender-oriented. The deadline for abstracts is 20 September 2001. Unfortunately we shall be unable to offer any financial support. We intend to publish a volume based on conference presentations. We shall be able to consider solely Russian-language articles for publication; even colleagues who may not be able to attend the conference are encouraged to submit articles. The deadline for submitting articles (on diskette and in hard copy) to be considered for publication is 30 November 2001. The conference programme and all practical information will be sent to interested colleagues in due course. Kindly address all further correspondence to Dr Hélène MELAT, Associate Professor of Russian and president of AFR. Address: 23ter boulevard BERTHIER, 75017 PARIS, FRANCE. Synopses of c. 500 words are requested by the end of September 2001. Proposals and other offers of participation will be welcome from scholars at all stages of research. It is intended that this conference will generate a publishable volume. at the Central NY Conference on Language and Literature, Cortland, NY, October 28-30. Continuities and divergencies between postcolonialism and Marxism. the politics of production and reception of the post-colonial text within the international division of labor. Globalization and the post-colonial: Glocalization (global/local interdependencies) Vs. world-system theory. Gender/feminism between Marxism and post-colonialism. Transnational feminism and materialist post-colonialism. Saint-Petersburg State University, "Mikhailvoskoye" Museum-Preserve, Cultural - Enlightment Society "Pushkin project" and Humanitarian-cultural center "Piligrim" are pleased to invite you to take part in the International Scientific conference "Pushkin and Shakespeare" which is planned to be held from 24 till the 30 of September, 2001 in Pushkinskie Gory (Pushkin Hills), Russia. The working language of the Conference is Russian. How does psychoanalytic work inform the ways we think about, use, and conflict with other bodies of knowledge and kinds of practice? We are looking for papers exploring, performing, proposing, or critiquing actual or possible practical, historical, theoretical, methodological, cultural, or institutional encounters and intersections of psychoanalysis with other disciplines, theories, and practices, within and without the academy. Professor Judith Butler, University of California, Berkeley "Ethical Violence"
Dr. Mark Solms, The Anna Freud Center "What is Neuro-Psychoanalysis?" APCS is dedicated to promoting the social benefits of psychoanalysis. We encourage participants to address this dimension in their presentations. Proposals for individual papers (15-20 minutes) and panels (3 or 4 papers) are invited. Send one-page abstracts (no papers) to Marcia Ian by June 1, 2001. Include email addresses, postal addresses, professional/institutional affiliation if any, and phone numbers for all individuals involved in the proposal. Email submissions are preferred. Conference at MGU: December 4-6, 2001. Registration fee for scholars from Russia, CIS, Baltic States, Central Europe = 200 rubles; for scholars from all other countries $75 (USD). Conference participants are responsible for all other costs for transportation, lodging and meals. Abstracts are invited up to 2 pages in length with contact information for the author (name, degree, title, affiliation, contact information by e-mail, fax, telephone, airmail address). Deadline for abstracts is September 5 2001; they must be received by e-mail at konfd01@philol.msu.ru. Abstracts must be in Word for Windows 6.0, 95, 97 in Times New Roman, 1.5 line interval, 2.5 cm margins, right justified margins, notes after the text. For more information, call (095) 939-53-29, 939-15-05 or fax at (095) 939-26-22, 939-55-96. Abstracts (100 words) are invited for 20-minute papers in LITERATURE, ART, MUSIC, FILM AND MEDIA STUDIES, CULTURAL STUDIES (including GENDER AND WOMEN'S STUDIES) to be given at the annual convention of the British Association of Slavonic and East European Studies at Fitzwilliam College, Cambridge University (UK), between 6-8 April 2002. Please send abstracts to PETER I. BARTA by e-mail (p.barta@surrey.ac.uk) by 15 October 2001. A conference on "Building a Vital U.S. - Ukraine Partnership" will take place on the campus of the University of Kansas in Lawrence on 26-28 April 2001, sponsored by the U.S. and Kansas National Guards and co-sponsored by the University of Kansas Center for Russian and East European Studies and the U.S. Foreign Military Studies Office at Fort Leavenworth. 4. develop effective and collaborative strategies that will enhance security (in the broadest sense) and stability. Speakers will include Gen. Joseph W. Ralston (Supreme Allied Commander, Europe), Ambassador Steven Pifer, Roman Solchanyk (RAND), William Gleason (Woodrow Wilson Center for Scholars), Sergei Konoplyov (Harvard Ukrainian National Security Program), Viktor Bondarenko (National Institute of Strategic Studies, Kyiv), Orest Subtelny (York University, Toronto), Jacob Kipp (U.S. Foreign Military Studies Office), Anatolii Grytsenko (Centre for Economic and Political Studies, Kyiv), and other leading scholars and representatives of Ukrainian studies. The SOCIETY FOR CENTRAL EURASIAN STUDIES in conjunction with the Department of Languages and Cultures of Asia, the Central Asian Studies Program, and the Center for Russia, East Europe, and Central Asia at the University of Wisconsin-Madison is pleased to announce the convening of the second annual meeting of the Central Eurasian Studies Society. This annual conference of the Central Eurasian Studies Society replaces the earlier annual Workshop on Central Asian Studies. We would like to request submission of paper proposals, and proposals for pre-organized panels, that concern Central Asian and Central Eurasian studies. These include: history, languages, cultures, and modern states and societies of the Turkic, Mongolian, Iranian, Caucasian, Tibetan and other peoples of the Black Sea region, the Crimea, the Caucasus, the Middle Volga region, Central and Inner Asia and Siberia, and teaching and research about these topics and areas. Participants wishing to present a paper are asked to submit an abstract of 150-250 words, and conference registration by May 15, 2001, using the form and response information below. Pre-organized panels sponsored by scholarly organizations related to any part of Central Eurasia are welcome. Confirmation of paper or panel acceptance will be available by July 1, 2001. We will do our best to accommodate proposals for papers after that date, but we do wish to encourage early submissions. Arrival is Thursday, October 11 afternoon/evening and departure is Sunday, October 14 at noon. The keynote speaker(s), the registration fee, and additional details concerning the program will be announced at a later date. (There is usually an informal gathering on Thursday evening and the program begins on Friday.) Registration/meetings will take place at the Lowell Center at the University of Wisconsin, Madison. Some meetings will also take place on campus near by. Hotel registration information is available at the end of this message. The goal of the annual Workshop on Central Asian Studies (established in 1996) was to offer an opportunity for scholars, institutions, and organizations interested in the Central Asian field to meet annually to discuss how we research, teach, and coordinate efforts in the Central Asian field. One result of this series of annual meetings was an effort during the fourth annual workshop in 1999 to establish a new scholarly society known as the Central Eurasian Studies Society. This new society held its first annual meeting in conjunction with the fifth annual workshop in 2000, and held its first elections soon after. Information on the CESS follows. The Central Eurasian Studies Society (CESS) is a private, non-political, non-profit, U.S.-based organization of scholars who are interested in the study of Central Eurasia, and its history, languages, cultures, and modern states and societies. We define the Central Eurasian region broadly to include Turkic, Mongolian, Iranian, Caucasian, Tibetan and other peoples. Geographically, Central Eurasia extends from of the Black Sea region, the Crimea, and the Caucasus in the west, through the Middle Volga region, Afghanistan, Central and Inner Asia, and on to and southeastern Siberia, Mongolia and Tibet in the east. The Central Eurasian Studies Society's purpose is to promote high standards of research and teaching, and to foster communication among scholars through meetings and publications. The Society works to facilitate interaction among senior, established scholars, junior scholars, graduate students, and unaffiliated scholars in North America and throughout the world. We hold an Annual Conference, and coordinate panels at various conferences relevant to Central Eurasian studies. The Society also works to promote the publication of peer-reviewed scholarship and other information essential to the building the field. As soon as practicable, we plan to begin publishing, twice annually, a bulletin that focuses on research reports, book reviews, information on the current state of the field worldwide, and related topics. We invite anyone who shares these interests to become a member and participate in our activities. 1. Come to the Information Meeting on CESS at the ASN Convention. 2. Contact CESS President, John Schoeberlein, by e-mail at: CESS@fas.harvard.edu, or write to: John Schoeberlein/CESS, Harvard Forum for Central Asian Studies, 1737 Cambridge St., Cambridge, MA 02138 USA. 3. Attend the Second CESS Annual Conference in Madison, Wisconsin, 11-14 October, 2001. For further information about the Annual Conference, contact Steve Sabol sosabol@newmail.uncc.edu or Uli Schamiloglu uschamil@facstaff.wisc.edu. To become a member, fill in the on-line registration form. Dues are $30 for full members; $15 for student and retired members; and free for some members depending on which countries they come from: http://www.fas.harvard.edu/~cess. October 2001 room rates are $62/night single; $72/night double (includes parking & complimentary breakfast). Learn what you can do to fight corruption? Network with more than 1500 anti-corruption professionals from all over the world? Visit Prague, one of the most beautiful cities in Europe? Then we invite you to participate in the Students' Forum of the 10th International Anti-Corruption Conference. The Conference, whose theme is "Together Against Corruption: Designing Strategies, Assessing Impact, Reforming Corrupt Institutions," is making its East Central European debut from 7-11 October 2001 in Prague, Czech Republic. The Conference is the premier global forum for the networking and cross-fertilization that is indispensable to effective international and national advocacy and action against corruption and to progress in this area. Through workshops based on real-life case studies, the Conference aims to identify global anti-corruption priorities, develop national and international strategies, exchange experiences in anti-corruption efforts and further develop international co-operation. It will be attended by more than 1500 delegates, including representatives from government, civil society, the private sector, academia, the media. For the first time, the program will include a Students' Forum, in which fifty college students, the leaders of tomorrow's anti-corruption fight, will gain valuable insight into the practical side of anti-corruption efforts. To be considered for the Forum, students must submit proposal for an original paper. Participants will be chosen competitively based on their paper proposals and recommendations of their academic advisors. Once chosen, the students will turn their proposals into papers, and the best papers will be chosen for presentation in special student workshops guided by graduate student mentors. Conference Structure: The Conference will start on Monday, 8 October and run through Thursday, 11 October. Morning plenary session will be followed by workshops at the Prague Conference Centre. Students will attend the plenary sessions and the regular workshops in the morning, and the Students' Forum workshops in the afternoon. Students' Forum Workshops: The workshops will feature presentation of two papers on panels chaired by graduate students. Papers will be followed by discussion on the panel theme. Participants will be expected to attend all student panels and to take part in their discussion. Topics: Papers may be submitted on the following areas, which may be broadly interpreted. Main program workshops include: "Addressing problems of companies in transition economies," "Containing & correcting corruption in privatisation"
Main program workshops include: "Preventing perversions of justice: corruption in the judiciary," "Training incorruptible police officers," "Countering the corruption influence of organised crime"
Main program workshops include: "Setting ethics standards for the development aid business," "Evaluating conditionality in aid and debt relief"
Main program workshops include: "Attacking corruption in education," "Countering private sector corruption: the role of business schools," "Building ethics in the young," "Blowing the whistle on corruption in sport"
We welcome papers on other topics such as gender and human rights, especially ones that tie these topics into those listed above. As the main program evolves, further information as well as resources and links regarding these topics will be available in the Students' Forum section of our website at http://www.10iacc.org. Please check our site in March. We encourage proposals from a wide range of disciplinary backgrounds. Benefits: Students will receive a fee waiver for the conference, which normally costs 760 USD, and will be able to attend the plenary sessions and the morning workshops. The organizers will cover accommodation and travel expenses. Students are, however, strongly encouraged to make use of any institutional funds that may be available to them. Proposals: Proposals should be no more than one page single-spaced page, and should include the title of the proposed paper and the name of the author. The proposal should clearly state the paper's theme, argument, and sources of information. In keeping with the approach of the Conference, the papers should be based on a case study or students' personal experiences. We encourage innovative approaches to the format of the paper. Students are encouraged to seek advice on their proposals from their academic advisor. Proposals are due 15 May. Papers: Once the student has been accepted for the Forum, papers should be typed, double-spaced, and should not exceed 2,000 words. Students are encouraged to seek advice on their papers from their teachers or their academic advisor. Papers are due 1 September. Language: English will be the working language of the conference, and proposals will be accepted in English only. More about the IACC: The conference will be hosted by the Government of the Czech Republic and Transparency International Czech Republic a member of the international non-governmental anti-corruption movement of the same name. The conference series is overseen by the IACC Council, for which Transparency International serves as Secretariat. You can find more information about the upcoming conference at http://www.10iacc.org, and further information regarding past conferences at http://www.transparency.de/iacc. 20-minute presentations dedicated to formal aspects of the grammars of Slavic languages, including phonology, syntax, semantics, and their interfaces, are invited. Please submit an abstract (maximum two pages) with identifying information to Jindrich Toman, 3040 MLB, University of Michigan, Ann Arbor, MI 48109-2175 no later than by March 14, 2001. Electronic or fax submissions will be accepted. a) Abstract: The second call for papers mistakenly asked for a ONE-page abstract, while the original posting mentioned a TWO-page abstract. Please feel free to send a two-page abstract, if necessary, as originally posted. b) Electronic and fax submissions will be accepted. c) Deadline extension: The deadline for abstracts has been extended--the new deadline is Wednesday, March 14. Please accept our apologies for the changes. The History of Architecture and Urbanism Program of the College of Architecture, Art and Planning at Cornell University will host a two- day conference in March of 2001 focusing on identity and memory in South Slavic architecture. The conference of invited speakers will bring together leading scholars on the subject from both the United States and the former Yugoslavia. The two-day conference will begin with a keynote address by Yale University Professor Ivo Banac, one of the most prolific and respected historians of Central and Eastern Europe. The other thirteen speakers will be organized into three sessions. The first session will be devoted to understanding the region's broader cultural framework because of its complexities and the competing influences on its architecture. The second session will address the creation of modern civic identities in Yugoslavia's four national capitals: Ljubljana, Zagreb, Sarajevo and Belgrade. The third session will examine specific examples of layered memory in Federal Yugoslavia and its successor states. We seek twenty-minute presentations on the theme of "inventing the individual" (broadly understood.) We anticipate that the conference will cover a wide variety of topics (whose primary historical focus is Romanticism) from a spectrum of disciplinary, interdisciplinary, and cross-disciplinary viewpoints including, but not limited to, literature, criticism, comparative literature, political and social history, philosophy, sociology, psychology, material culture, European and American studies, music history, art history, architectural history, and religion. Papers addressing the theme of individualism with reference to feminist theory, queer theory, and post-colonial theory as well as papers addressing Romanticism from traditionally less represented geographical areas, are particularly welcome. Presenters are encouraged to examine topics in comparison with or contrast to other periods prior to, contemporary with, or succeeding Romanticism up to the present. Given the developing interest in the use of technology to support scholarship in Romanticism, presentations demonstrating applications of technology to research are also welcome. In support of the interdisciplinary thrust of the conference, on Saturday evening November 10, the Performing Arts Series at Miami University will feature a performance of Franz Schubert's Winterreise, sung by Ulrich Schutte, accompanied by Gary Holt. The South Atlantic MLA Special Session on Slavic Studies is now accepting proposals for the 2001 conference. This year's special topic is Central and East European (including Russian) film. Please send a brief abstract to Kim Jastremski (kjastrem@email.unc.edu) or Kathleen Ahern (k_ahern@uncg.edu) by March 31. Graduate students are encouraged to participate. The SAMLA conference will be held November 9-11 in Atlanta, Georgia. All panelists must join SAMLA by July 1, 2001 in order to receive pre-registration materials for the conference. Further information can be found at www.samla.org. The primary aim of GLiP meetings is to bring together (i) Polish generative linguists, (ii) generative linguists working in Poland, as well as (iii) generative linguists working on Polish. We invite abstracts on any aspect of generative phonology and morphophonology in any generative approach (Government Phonology, Lexical Phonology, Optimality Theory). Talks will be organized around major phonological topics, depending on the content of the submissions. The format of the conference is 20 min for presentation + 10 min question time. Languages of the conference are English and Polish. GLiP-3 is the first meeting in this conference series devoted to phonology and morphophonology, the previous meetings being primarily syntactic in nature. GLiP-3 marks the beginning of what we intend to become a rule: (morpho)syntactic meetings in the autumn and (morpho)phonological meetings in the spring. Accommodation will be provided at the university hotel. Details are available from the GLiP web page (see below). Should be *anonymous* (i.e., they should contain no personal data or explicit self-references) and consist of up to 700 words, together with examples and references. In cases when there is no need to use special phonetic symbols or phonological representations/rules, we strongly encourage PLAIN TEXT submissions. We regret to say that other formats will not be accepted. Those who submit abstracts in (*self-contained*!) (La)TeX should best use the tipa.sty package. See http://venus.ci.uw.edu.pl/~glip/links/ for pointers to the sites which offer this package for download. Only one submission per person and one joint submission will be considered. Abstracts should be written in English or Polish. Please note: do NOT send abstracts on diskettes. We will accept *e-mail* submissions *exclusively*. Please be so kind as to use zip, gzip, bzip2 or some other compression utility to COMPRESS the attachment. If you are (tentatively) interested in taking part in this conference, please, send your email address to GLiP-3 Organizing Committee glip@venus.ci.uw.edu.pl. Most future announcements, changes, etc., will be mailed only to registered prospective participants (and not to general linguistic lists). Please note the following calls for papers for the 2001 MLA National Convention to be held next December in New Orleans. We hope to have an especially large and lively Slavic presence at MLA this year and urge you all to join in! Please include your name and complete contact information (postal address, telephone number, and e-mail address) when submitting proposals. Proposals will be accepted by mail, via fax, and in electronic format (attachments preferred). DEADLINE FOR RECEIPT of proposals is Thursday, February 15, 2001. Saint Petersburg and Problems of "Open Culture"
Saint-Petersburg State University, Russian State Humanitarian University, Moskow State University of a name of M.V. Lomonosov, Anna Ahmatovoj's museum in the Gushing house, Cultural-Enlightment Society "Pushkin project", Center "Piligrim" are pleased to invite you to take part in the International Scientific Conference "Saint Petersburg and problems of 'open culture'" which is planned to be held from the 21th till the 25th of June, 2001 in Saint-Petersburg and Great Novgorod, Russia. 7. St.Petersburg today: problems of study. The Institute of Musicology at the Masaryk University Brno (Czech Republic) will host the annual musicological colloquium, that will examine the rather dubious term socialist realism in its relationship to music. On this occasion, a rather broad scope of topics should be addressed: the origins of socialist realism in the context of art and literature, the doctrine of socialist realism in the aesthetics of music and its developments in various countries, the mechanisms by which the doctrine was transmitted, and its native sources and ingredients, socialist realism and the left avant-garde, socialist realism and various anti-modernisms in 20th century music (Third Reich era, Hollywood aesthetics etc. ), musical style and socialist realism, the institutional background of socialist realism in musical life. Both interdisciplinary approaches (especially literary criticism, history of art and social sciences) and papers in various branches of musicology (history, sociology, aesthetics, semiotics, analysis etc.) are welcome. Comparative approaches to this topic are especially welcome. All prospective participants should submit by May 30, 2001 a 300-word abstract, a brief curriculum vitae, and their postal and e-mail addresses. The presentation of a paper should not exceed 30 minutes. Papers are accepted in English, German, and French. There are no interpreting facilities available in the conference rooms. The active participants will be offered accommodation in an international hotel free of charge. More information will be available progressively on the web page of the Institute of Musicology of the Masaryk University Brno: http://www.phil.muni.cz/music/ under the heading Kolokvium. Prof. PhDr. Jiri Fukac, CSc. Abstracts are invited for 30-minute talks (20-minute presentation plus 10 minutes for discussion) on Slavic syntax, semantics, phonology, morphology, computer linguistics, and sentence processing. Presentations will be in any Slavic language, English or German. In addition, we ask for a camera-ready original with the author's name, e-mail, and affiliation, which will be needed for producing a volume of conference abstracts. Authors whose abstracts are accepted will be notified in mid-July 2001. Those interested in attending FDSL-4 are invited to register their e-mail and/or postal addresses at the conference address below (e-mail is preferred for all communication except submission of abstracts). International Conference "Russian Language in Social Cultural Space of XXI Century"
KazPRYAL presents traditional international MAPRYAL conference, which will take place in Almaty (Republic of Kazakstan). Please, avoid using non-standard fonts (Times New Roman is recommended in Microsoft Word). Unfortunately, we cannot accept all the papers and Organizing Committee will inform You, if Your abstract is in the program of the conference. Conference fee for participants from CIS countries is $20, from other countries is $50. Conference fee includes materials and equipment usage, one copy of conference proceedings. Please send a conference fee only after receiving confirmation of your abstract acceptance. Travel and accomodation expences are paid by conference participants. For hard currency transfers: Account number 069117012, Name Madiyeva Gulmira, Kazkommertsbank, Almaty, Kazakstan. SWIFT: KZKO KZ KX. Corr/acc. # 890-0223-057 Bank of New York, New York, USA. SWIFT: IRVTUS3N. CHIPS: 0001. For rouble transfers: Account number 001687982 Name Madiyeva Gulmira Bayanzhanovna. Open JSC Kazkommertsbank, Almaty, Kazakstan. SWIFT: KZKOKZKX. JS commercial bank Russian Federation Savings Bank, Moscow, Russia. BIK 044541225. Corr/acc. in OPERU Russian Federation Central Bank 30101 810 400 000 000 225. SWIFT: SABRRUMM 012. Tours and banquet will be offered at extra cost. Slavic Forum 2001 will be held on the campus of the University of Chicago on April 27th and 28th, 2001. We invite graduate students working in the literatures and cultures of Russia, Central and Eastern Europe to submit abstracts for a twenty-minute presentation. This year we are pleased to expand our conference to include those working in Linguistics. Although we will gladly consider proposals for any work in these fields, we are particularly interested in submissions commemorating the new millennium with a focus on transition not necessarily limited temporally: issues of periodization such as Modernism, Post-modernism, New Sincerity; Millenarianism, Apocalyptic discourse and Messianisms; genre hybrids; interdisciplinary and new approaches in Slavic studies. 20-minute presentations dedicated to formal aspects of the grammars of Slavic languages, including phonology, syntax, semantics, and their interfaces, are invited. Please submit a one-page abstract and an identifying card to the address below no later than March 9, 2001. The 10th FASL meeting will begin on Sunday morning, May 6, and will conclude on Tuesday, May 8, at noon. This schedule was chosen so as to make it possible for interested FASL participants to arrive a day or two early and participate in the symposium Interfaces and Interactions in the Future of Linguistics, organized by the Program in Linguistics of the University of Michigan to celebrate its new status as department. The symposium will take place on May 4-5. Details will be made available soon. We hope to see you celebrating linguistics in Ann Arbor in May 2001 with us. Further information will follow. The Balkan languages share sets of typological properties which have contributed to the shaping of a uniform areal typological profile, referred to as "Balkan language union" or "Balkan Sprachbund". A typological language property is assumed to be areal if (a) shared by at least three languages of the area, at least two of which belong to different genetic families, but (b) not present in all the languages of the genetic family to which the language of the area belongs (if it belongs to a language family, at all). Since the amount, the extent and the limit of areal typological properties necessary for granting membership into the Balkan Sprachbund, has not and cannot be assessed independently, linguistic discussion on Balkan Sprachbund membership has centered around specific properties. Different analyses single out different arrays of Balkan Sprachbund properties, though most of them agree on one phonological property - the presence of the schwa phoneme - and six grammatical properties: (1) substitution of the synthetic declension markers by analytic ones; (2) grammaticalization of the category of definiteness through postpositive definite articles; (3) pronominal doubling of objects; (4) analytic expression of futurity; (5) analytic Perfect with an auxiliary verb corresponding to have; (6) loss of the infinitive and its substitution by subjunctive clauses. Two Balkan Slavic languages - Macedonian and Bulgarian, two Balkan Romance languages - Aromanian and Megleno-Romanian, as well as Albanian have been said to qualify for full membership; Romanian, Modern Greek, Balkan Romani and a group of Serbo-Croatian, or rather Serbian dialects - the Torlak ones - have been treated as peripheral members; Standard Serbo-Croatian has been very marginally included; while Turkish has been treated as a "donor" language. Papers within any framework on any Balkan Sprachbund property, involving any of the Balkan languages, as well as languages outside the Balkans which exhibit areal properties encountered on the Balkans (e.g. the languages of the Caucasus or the Volga area) invited. Papers dealing with more than one language are strongly preferred. Please send abstracts of no more than 500 words as attachments to an e-mail message to o.tomic@let.leidenuniv.nl. Deadline March 15. Notification of acceptance by May 1. Université Laval / Laval University, Quebec. Deadline for Proposals: Monday, February 12, 2001. (2) E-mail, which will be e-mailed to all CAS members in good standing who have an e-mail address. (3) PDF, a downloadable file, which you can print, fill out, and send via snail mail. It will be available at the *Canadian Slavonic Papers* site. (4) Hard copy, which will appear in the November issue of the CAS Newsletter. Electronic submissions are preferred. We encourage you to submit, whenever possible, complete panel proposals. All proposals must include a fifty-word resume. Your observance of the deadline (February 12, 2001) will ensure the timely preparation of a preliminary programme, along with the reservation of rooms and appropriate equipment. Many associations will be meeting concurrently with CAS. Competition for space and equipment will be keen. 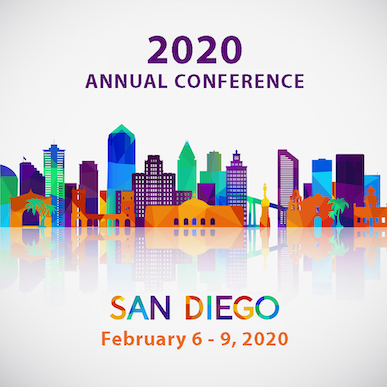 To defray administrative costs of processing LATE submissions, a fee --payable directly to CAS-- will be charged for proposals that arrive after February 12 ($15.00 for panels and $5.00 for individual proposals). No proposals will be accepted after March 23. The *Congress Registration Guide* will be mailed by the Federation to all members of CAS in the beginning of January 2001. I urge you to check whether your name appears listed on the site of *Canadian Slavonic Papers* and to inform Dr. Gust Olson immediately concerning any address changes. Slavists who are not members are very welcome to join CAS. All participants in the CAS meeting, be they presenters or members of the audience, must register. (For purposes of registration at the Congress, the Canadian Association of Slavists is no. 56). The number of registered participants determines the amount of support that the Humanities and Social Sciences Federation of Canada lends to CAS. The *Congress Registration Guide* will inform you about registration procedures (by mail, fax, WWW or in person), hotel and dormitory accommodations, and method of payment. The deadline for early registration is April 15. For information about the Federation and regular updates about the congress, visit http://www.hssfc.ca. The Federation encourages interdisciplinary outreach and will award special funds to associations holding joint sessions. For this reason, we draw your attention to associations whose meeting dates overlap with those of CAS. Canadian Association of Eastern Christian Studies (40), Canadian Society for the Study of Rhetoric (111), Canadian Society for Hermeneutics and Postmodern thought (233), Canadian Society of Church History (9), Consortium for Computing in the Humanities (255), Canadian Catholic Historical Association (8). Canadian Association of Hispanists (24), Canadian University Music Society (41), Canadian Philosophical Association (47), Canadian Society for the Study of Religion (50), Canadian Society of Biblical Studies (6), Canadian Society for the History and Philosophy of Science (25), Canadian Comparative Literature Association (38), Canadian Society of Patristic Studies (45), Canadian Theological Society (65), Canadian Semiotic Association (81), Canadian Society for Aesthetics (231), Canadian Association for Translation Studies (240), Canadian Society of Medievalists (249). Canadian Linguistic Association (37), Canadian Lesbian and Gay Studies Association (268), Canadian Historical Association (26), Canadian Women's Studies Association (96), Canadian Society for the Study of Practical Ethics (53). Folklore Studies Association of Canada (20), Film Studies Association (242). Canadian Association of Learned Journals (98), Canadian Evangelical Theological Association (246), Canadian Political Science Association (48), Canadian Association for the Study of International Development (225), Environmental Studies Association of Canada (259), Society for Socialist Studies (58), Canadian Sociology and Anthropology Association (59), Canadian Asian Studies Association (74), Bibliographical Society of Canada (238). Department and The Center for Russian, Central and East European Studies. The unification of Germany and the nationalist tide that paralleled this historical change, the nationalist movement in Scotland that threatens to actualize the predicted break-up of Great Britain, the rise of the right in France, Belgium and Austria and a number of regionalist/nationalist movements across Europe challenge the idea that the national will give way to the supranational. At the same time, the recent collapse of communism has challenged the imaginary geography of "Europe" to include past and recent "others" (e.g., "the Balkans", the "Slavs", "the post-Soviets"), to confront the bankruptcy of state socialism and to make sense of the idiosyncratic cohabitation of post-modern and pre-modern world-views. Meanwhile, Europe is faced with new war fronts of nationalizing processes at its midst. Consequently, the configuration of the new "European political identity" seems to be slipping away from the control of the European Union, as more voices - both within and outside the Union -- pronounce that Europe does not equate with the EU). Exploring European identity leads us into a more fluid and contested terrain that is at times bigger (narratives of expanding cosmopolitanism) and at times smaller (narratives of separatism manifested as aggressive nationalisms). This troublesome but also promising process of (re-)inventing Europe provides the opportunity to deepen our understanding of nationalism and its place in Europe, and to identify the dominant modes of recasting European identity vis-a-vis more particular identities (nationalism, regionalism, minorities). Simultaneously, we are challenged to re-conceptualize the representation of the European political identity and its actor/story-teller. We are also open to other topics as long as they address any aspect of the relationship between specific national identities and broadly defined "Europeanness". Please, address your inquiries to: Yianna Liatsos yianna@rci.rutgers.edu. New Brunswick, New Jersey, 08901-8537, U.S.A. The Northeastern Union of Graduate Slavists invites submissions from graduate students of all levels for its second annual Graduate Conference on Slavic Literature and Culture, to be held at Yale University, New Haven, on February 24th-25th, 2001. Papers on all topics of Slavic Literature and Culture will be considered. Papers dedicated to comparative studies and theoretical issues are encouraged. Abstracts of 250 words or less for an eventual 20 minute presentation should be sent via e-mail to subs@slavicgrad.freeservers.com by 16th December, 2000. Papers will be considered for a maximum of four panels. We hope to provide a limited travel expense reimbursement to one or more participants from outside the Northeastern region. This will be based on the merit of the abstract. Saint-Petersburg State University, Mikhailvoskoye Museum-Preserve, All-Russia Museum of Alexander Pushkin, Cultural-Enlightment Society "Pushkin project" are pleased to invite you to take part in the International Scientific Conference "Symbolism and Russian literature of the XIXth century" (devoted to the memory of A.Pushkin and A.Blok) which is planned to be held from the 6th till the 10th of February, 2001 in Pushkinskie Gory (Pushkin Hills), Russia. The conference "Between Two Worlds: S. Ansky at the Turn of the Century, an International Conference," will take place at Stanford University on March 18 and 19, 2001. Sponsored by Jewish Studies and jointly organized by faculty in History and Slavic Languages and Literatures, the conference will address the writings and the legacy of Shloyme-Zanvl Rappaport/Semyon Akimovich Ansky, an ethnographer, populist, and writer in Russian and Yiddish who is best known for his play, The Dybbuk. The conference will be free and open to the public. For more information, please visit our website at http://www.stanford.edu/group/Ansky/ansky.html. Over the years, Slavic topics have been almost nonexistent at this prestigious congress (the official printed program of the 35th Congress, which met in early May, lists no fewer than 562 panels), a fact that suggests, in a sense, that the Slavs and Slavic cultures are a non-presence in the larger Medieval picture. In an effort to redress somewhat this situation, the Center for Medieval and Renaissance Studies at Saint Louis University has proposed the two sponsored sessions listed above. Given the history of the Congress, scholars are encouraged to submit proposals for papers of a more general nature than might be given, for example, at the AATSEEL conference, since one is not able to presume an audience that is knowledgeable in things Slavic; in fact, the realpoint of these sessions is to provide what for many would be their first real exposure to the richness of the medieval Slavic cultures. The sessions are open to all disciplines; papers can focus on topics within a given Slavic culture, across Slavic cultures, or on the relationships between Slavic and non-Slavic cultures, during the period roughly 600 - 1400 AD. One-page abstracts of papers designed for delivery in 20-25 minutes should be sent to the address provided below by September 1, 2000. Interested scholars are encouraged to submit very brief (one paragraph) descriptions of possible papers as soon as possible, in order for me to convey to the Congress organizers a sense of how much interest in participating on these panels actually is "out there". Colloque Nina Berberova(Nina Berberova at 100), an international conference to be held Oct. 18-21, 2001, in Arles, France, seeks papers related to Nina Nikolaevna Berberova. Papers addressing issues in poetics, culture, translation, and film are encouraged. Send abstracts (in English, Russian, or French) to Dr. Ruth Rischin mrischin@sfsu.edu or Dr. Elizabeth Yellen esyellen@hotmail.com. Deadline: Nov. 1, 2000. The Lomonosov Moscow State University in collaboration with American Council of Teachers of Russian Language and Literature organizes The International Congress of Russian Language Researchers "Russian Language: its Historical Destiny and Present State"
* Russian linguistics in a spectrum of scientific paradigms. For participation in work of the Congress it is necessary to send the theses up to 2 pages of the text (size 12, the font Times New Roman). Requirements for the theses format in details see at the site of the Congress. The theses should be sent to e-mail address: ruscongr@philol.msu.ru only attached to an e-mail message. Language of the theses - Russian. The theses should be supplied with the summary in English in 1-4 sentences. Working languages of paper presentation on the Congress - Russian, English, German, French, Spanish. Deadline for sending the theses - November 1, 2000. The decision on acceptance of the theses on the basis of the decision of the Program Committee will be announced to authors till December 16, 2000. Registration fee - $ 100 (for Russian participants and other participants from the former Soviet republics - 500 roubles). The payment should be brought in to the Organizing committee after the arrival to the Congress (with getting of the receipt about the accepted sum). Registration fee provides participants with a printed collection of Congress theses and a package of informational and memorative materials. Coffe breaks with snacks also are provided. The hotel accommodation for participants is supposed to be organized on the basis of hotels "Salute", "Universitetski" and other hotels around Moscow University. Details about the cost of residing see on our site in the section "Accommodation". Seminars and round table meetings. Besides plenary and section sessions there the seminars and round tables on key problems of Russian language studies are provided in the time-table of work of the Congress. Please, send your suggestions for seminars and round tables topics. March 12 - day of arrival. 10.00-19.00 - registration of the participants (at the 1-st Building of Humanities, Moscow University, room 1006). 19.00 -... Evening of acquaintance of the arrived participants (reception by Organizing Committee of the participants in the University cafe). March 13 - 1-st working day. 09.00-10.30 - registration of the participants. 10.30-13.00 - Plenary session (at the Conference hall of 1-st Building of Humanities, Moscow University). 17.00-19.00 - seminars and round tables. March 14 - 2-nd working day. 19.00-.. - visiting of Moscow theatres and concerts (according to wishes). 19.00-21.00 - the reception of the Congress participants by the Dean of Philological Faculty of Moscow University. March 15 - day of excursions. 10.00 - the survey excursion around Moscow, Kremlin, trip to Troitze-Sergieva Lavra, etc. Specified program of excursions will be announced at the site of the Congress. The excursions will be carried out according to wishes of the participants. 19.00 - visiting of a restaurant of traditional Russian kitchen "Yolki-palki" and other interesting places of evening Moscow (according to wishes). March 16 - 3-rd working day. 14.00-17.00 - final Plenary session (at the Conference hall of the the 1-st Building of Humanities, Moscow University). The specified time-table of work of the Congress one can find at our site in the section "Time-table of work of the Congress". All changes and specification in the time-table of the Congress work and in other aspects of its work will be operatively reflected at our Congress site. Please, be attentive to changes.